Combine the milk and chicken stock together and bring to a boil. Add the cauliflower and let it simmer for 10-12 minutes, until soft. 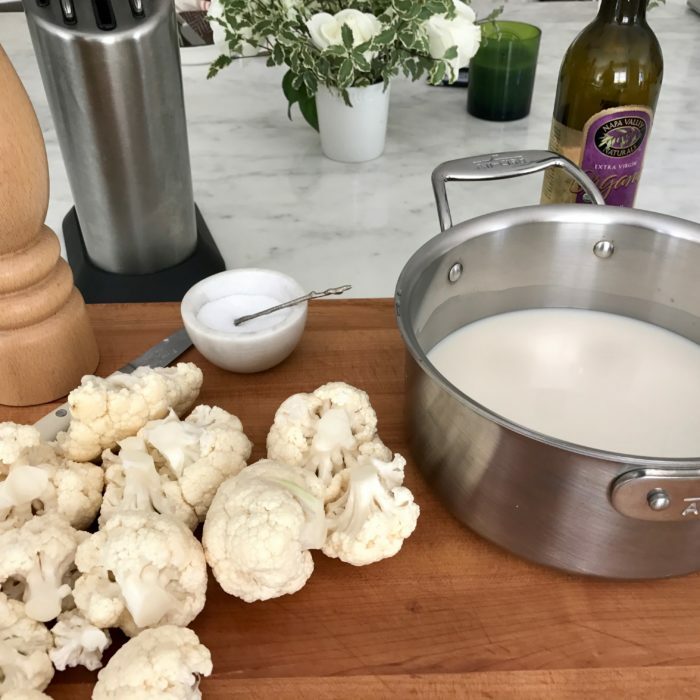 Place cauliflower wth 1/2 cup of cooking liquid in blender and pulse until smooth. Add more liquid if you want a smoother consistency. Add salt and pepper to taste.